With the view to establish a quick and easy multi-band antenna deployment for portable and camping operations a travelling Wave Antenna with and 9:1 voltage balun is one possible solution. A dipole can be modified by inserting resistive loading networks so as to produce standing waves between the feed point and the networks. 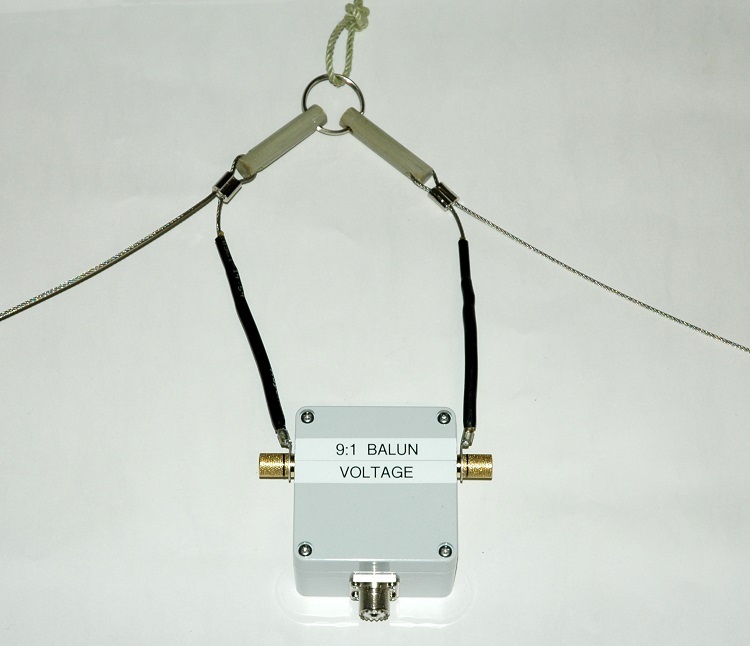 With the suitable voltage balun the resistive network values dipole sections can be adjusted to developed a travelling wave dipole whose VSWR is less than 2:1 from 3 to 15 MHz and does not exceed 2.6 to 1 from 2.3 to at least 30 MHz. The physical assembly is extremely simple and cost effective consisting of stranded stainless steel wire, light weight end and centre insulators fashioned from fibre-glass rod. The centre insulators and support attachment consisting of a heavy duty stainless steel key ring. See the below photo 1. This arrangement was chosen so that alternative baluns can be easily swapped in and out. Photo 1 Broadband HF Travelling Wave Dipole apex and feed point assembly including bulun. Figure 7 Broadband HF Travelling Wave Dipole (1 - 60MHz). AIM 4170C antenna analyser plot. Phase Phase angle between voltage and current. Figure 8 Broadband HF Travelling Wave Dipole radiation plot at 3.650MHz. MMANA Antenna modelling. Figure 9 Broadband HF Travelling Wave Dipole radiation plot at 5.30MHz. MMANA Antenna modelling. Figure 10 Broadband HF Travelling Wave Dipole radiation plot at 7.150MHz. MMANA Antenna modelling. Figure 11 Broadband HF Travelling Wave Dipole radiation plot at 10.120MHz. MMANA Antenna modelling. Figure 12 Broadband HF Travelling Wave Dipole radiation plot at 14.150MHz. MMANA Antenna modelling. Figure 13 Broadband HF Travelling Wave Dipole radiation plot at 21.2000MHz. MMANA Antenna modelling. 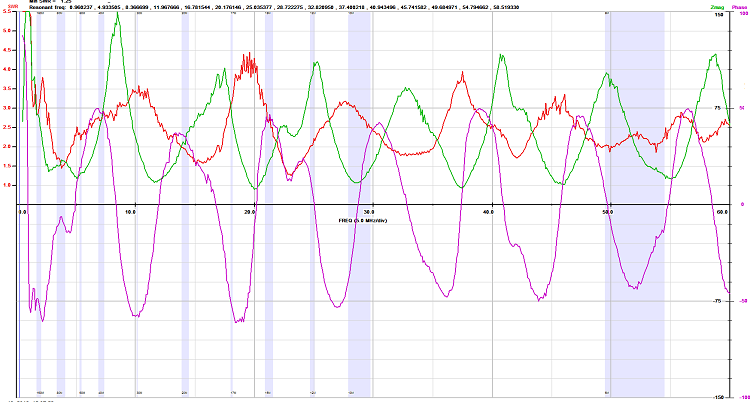 Figure 14 Broadband HF Travelling Wave Dipole radiation plot at 28.500MHz. MMANA Antenna modelling.